Touring Panigale V4 accessory package. The unique pleasure of sports riding in the Panigale V4 style, combined with the convenience of a package that adds all the must-have features to enjoy a trip out of town. Enjoying the bends and the panorama will be even more thrilling with the functional tank bag, the comfort rider seat and the streamlined profile of the larger windscreen. 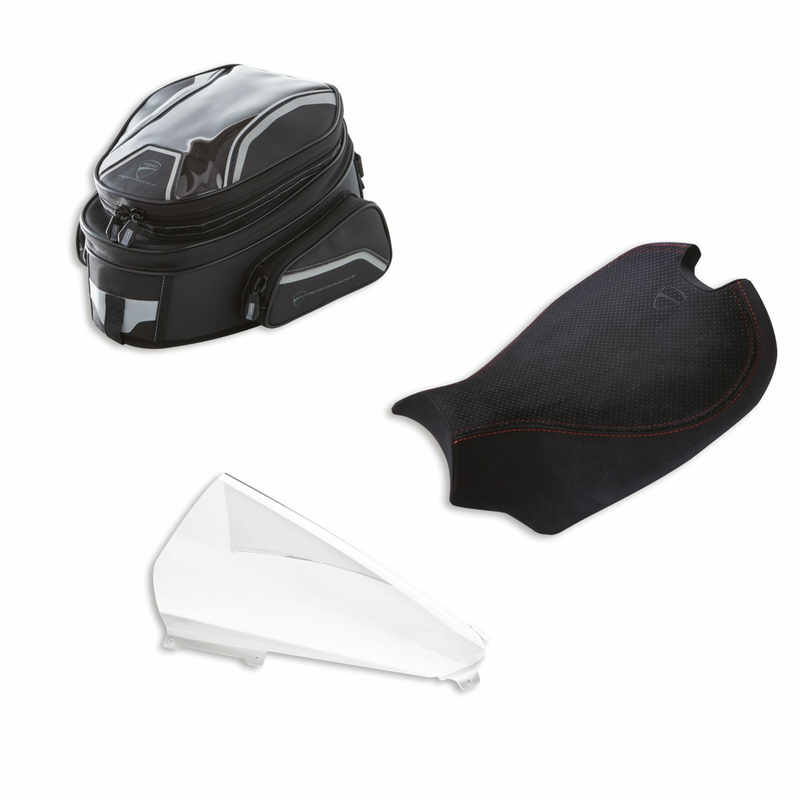 The package includes: rider comfort seat, soft tank bag, oversized Plexiglass.